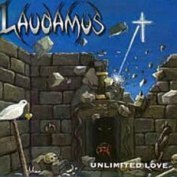 LAUDAMUS, a trio from "the deep forrests in the north of Sweden". A town called Piteå to be more precise. 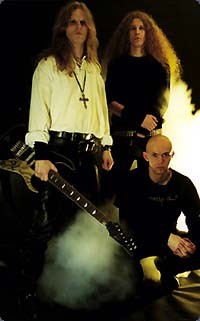 The members have played together for some years and their first full-length album was released in December 1999. But yet it's live that the band has made themselves a reputation as one of the most interesting Christian metal acts in Sweden right now. They give all they got from the beginning until the end, and the show is really something extra. 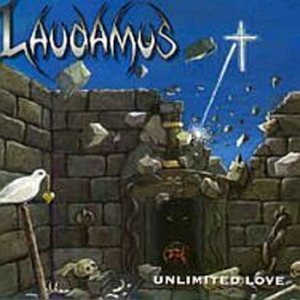 Laudamus is a band you won't forget straight off, if you get the opportunity to see them live don't miss it. Since the last album LOST IN VAIN produced by KEN TAMPLIN and great guests from MEGADETH, TALISMAN, EUROPE, ROB ROCK & IMPELLITTERI the band have toured in Scandinavia and also in USA. What you will get on their selftitled album LAUDMAUS remastered + rare bonustracks. In total 16 great songs in a great production with lots of melodies. 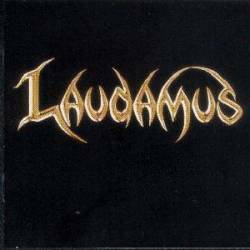 If you are into bands like STRYPER, ROB ROCK, IMPELLITTERI, NARNIA & EUROPE you will love LAUDAMUS!